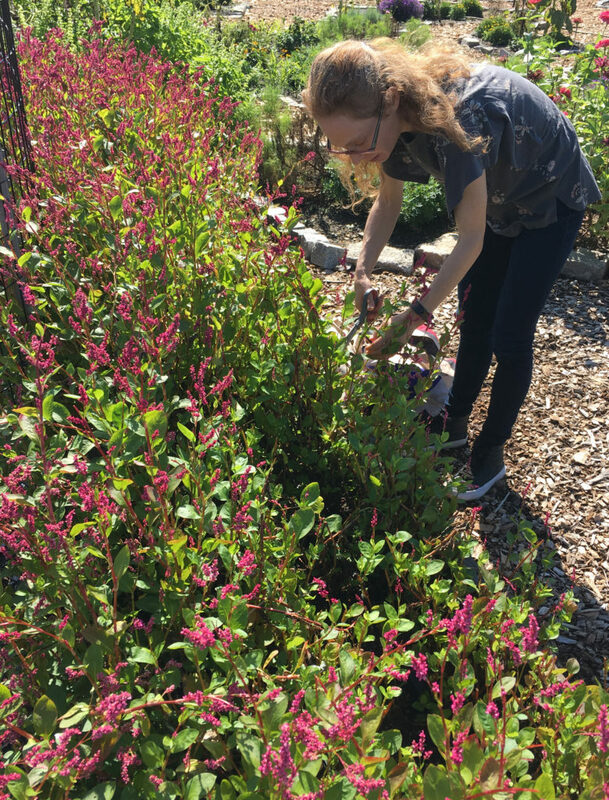 Harvesting indigo at GrowNYC’s Governors Island Teaching Garden, 9/29/18. End of season — once plants have flowered, the leaves typically contain less pigment. On this day, I collected seeds (flowers to winnow), and harvested for the last time.